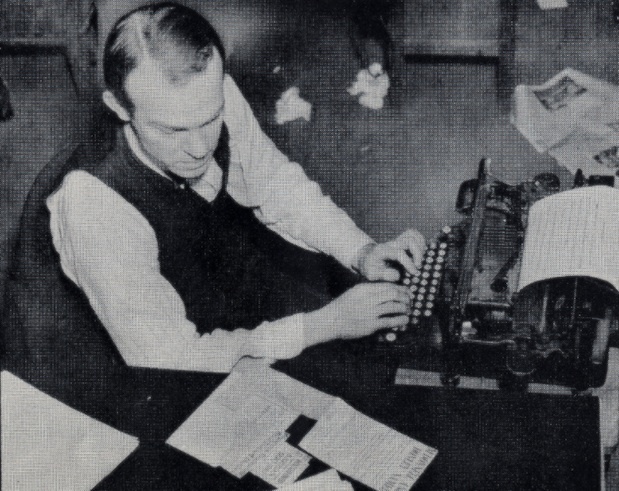 A writer for the Cleveland Press at his typewriter. What machine is that? This 31-page brochure, published by the Cleveland Press around 1938, describes how the newspaper was produced and was given as a memento to citizens who visited the newspaper plant. 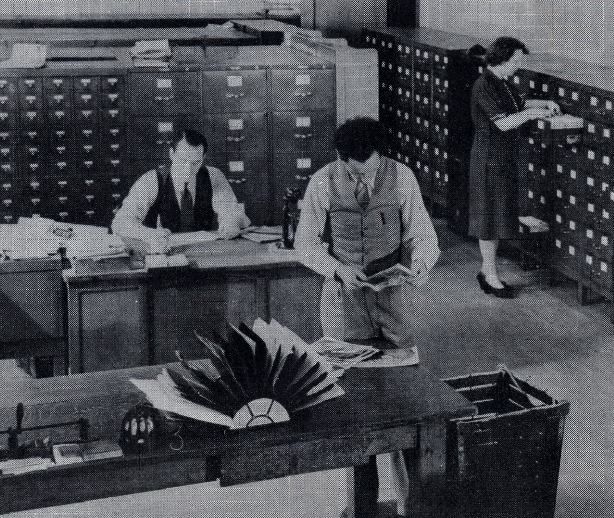 It discusses the functions of the newspaper departments including the news room, city desk, copy desk, library, composing room, engraving room, stereotype room and mailing room. Note: brochure includes photographs. It takes a virtual army of people to produce this newspaper. More than 750 people work in, or from, the building at East Ninth and Rockwell as regular employees. This does not include the legion of correspondents scattered all over Ohio and adjoining territory who furnish news on a piece-work basis. Nor does it include the 3200 young carrier salesmen who deliver your Press to your home every day. 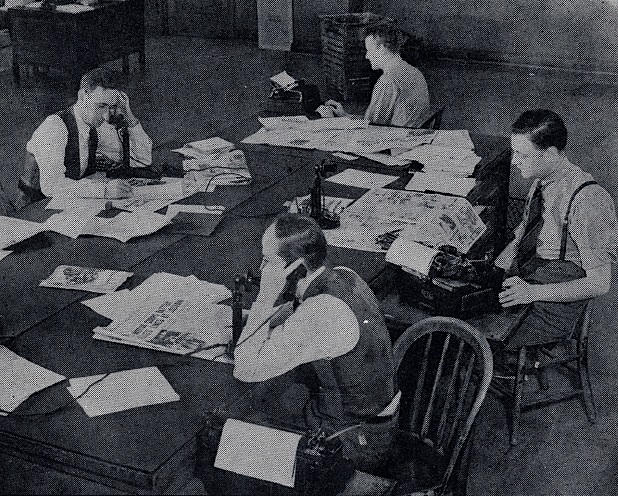 Today, newspapers employ far fewer people. In the San Francisco/San Jose Bay Area, for example, one group of reporters writes for multiple “local” newspapers — the logic being, why have a staff for each paper when one suffices? I cut short my own career as reporter, seeing the direction the market was heading (thank goodness for blogging). I certainly will not disparage the Internet, which opens portals to the world, but there was something organic about the old newspaper office. People worked together; there was society. Today, we’ve become too fragmented, too detached from the real things of life, each person working behind a screen… in isolation. The pamphlet indeed tells a story. Note: The Cleveland Press published from 1878 to 1982. © 2014 – 2018, Mark Adams. All rights reserved.